Healthcare is a constant problem in poverty-stricken countries such as Bangladesh. Lack of healthcare provision by the government and a percentage of health investment around 3% has led to inadequate medical infrastructure and medical staff. It is counted that there are only 3 beds per 10,000 patients and doctors living in villages have little formal training. Furthermore, women are less likely to receive appropriate medical treatment during illness or pregnancy. This gender inequality deeply influences Bangladeshi health conditions. Several NGO’s are trying to change this situation in Bangladesh: Friendship is one of these associations, specialising in “floating” hospitals. This donation-founded NGO restructures dismissed boats and converts them into hospitals. Their purpose is to provide medical treatment to people living in the remotest areas of the country, where medical staff can reach the marginalised areas of Bangladesh and offer free healthcare to poor communities. 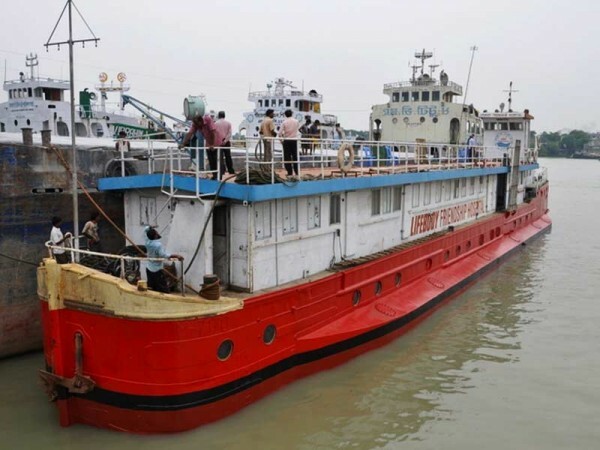 The first Friendship’s floating hospital was Lifebuoy, a river barge converted into a hospital with the financial support of Unilever and CIDA, while the second hospital was Emirates, a vessel donated by Emirates Airlines which operates in the river areas. Both ships serve 60,000 patients each per year, almost for free. The third ship, now called Rongdhonu, has an interesting background; her name means “rainbow” in Bengali. Before becoming a hospital Rongdhonu was known as Rainbow Warrior II, a vessel used by Greenpeace International for its protests and activities. In 2001, after 22 years of service, the ship was donated to Friendship and now it is based in the port of Chittagong. Her conversion into an hospital costed around 500,000 EUR, but received the support from Holland, Hong Kong and group of private individuals and corporate donors from Luxembourg. On board, you find a vast group of volunteer medical staff and several units of laboratories; a radiology unit, eye unit, gynaecological and paediatric consultation, and an operating theatre. Their work is vital for helping the community; a lot of people, even among the youngest, can get a cataract operation. Burn contracture surgeries are extremely common in an area where most people cook with open fire. The gynaecological unit operates on thousands of women with uterine prolapse. Women with these problems often face the rejection by their community. With the treatment they can regain dignity. Today, Rongdhonu serves 45,000 patients per year, providing the necessary healthcare to a lot of people who would have otherwise been excluded.